Architects, engineers, and construction professionals have a bright future ahead of them. With the global population predicted to hit 9 billion by 2050, the demand for construction has never been greater. 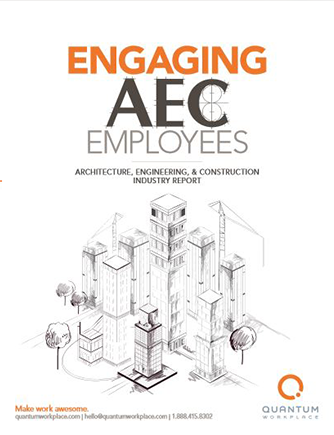 Few industries enjoy more engaged workforces than architecture, engineering, and construction. However, coming trends pose serious threats to the AEC industry. A number of factors will play into an organization’s success, but one point is clear: Those with the foresight to understand how to engage their workers will enjoy a considerable advantage.